Breakfast doesn’t have to be complicated! 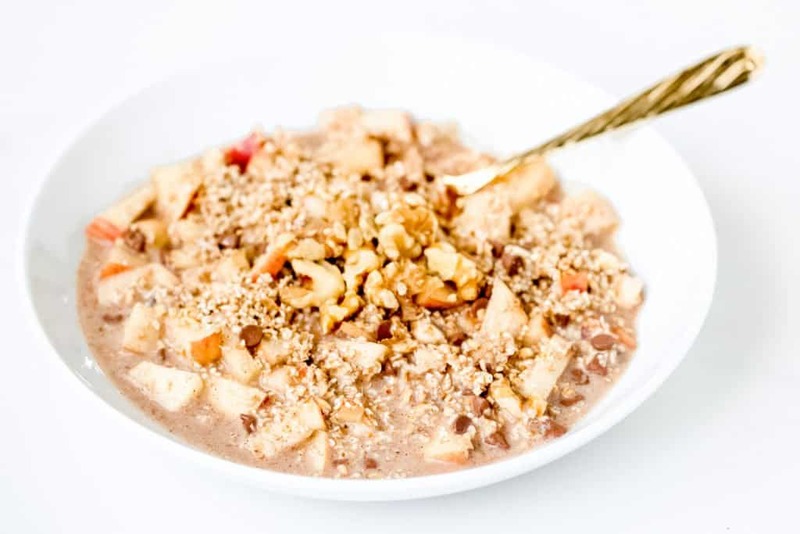 Give Muesli a try, a quick and convenient hearty breakfast cereal that’ll please the toughest crowd. Sometimes I wish we could go back to Switzerland. The way of life, the food, the culture, the travel, the experiences, it was truly incredible! I remember the first morning we woke up in one of the hotels we were living in and they had this beautiful arrangement of fresh fruits around this bowl of muesli. It was so simple but elegant at the same time. Truthfully, it made me a little sick to think of how cluttered the “all you can eat breakfast buffets” are here in the states. Can we just bring back simple people?! Anyways, that’s what inspired me to make this muesli; simple, delicious and nutritious! 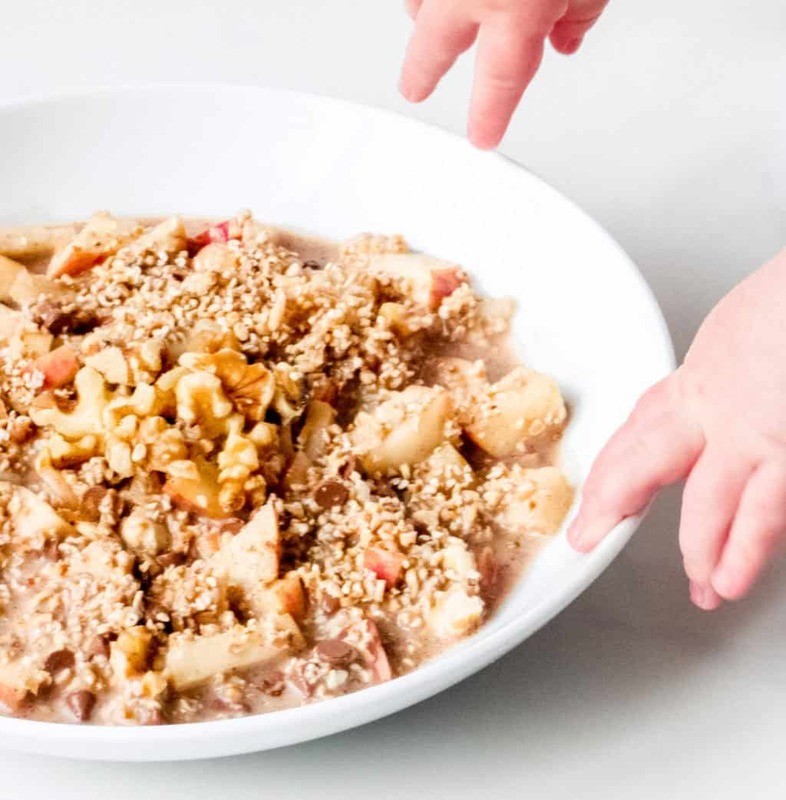 The perfect slogan for this Shaw Kitchen’s latest creation, Apple Walnut Muesli! 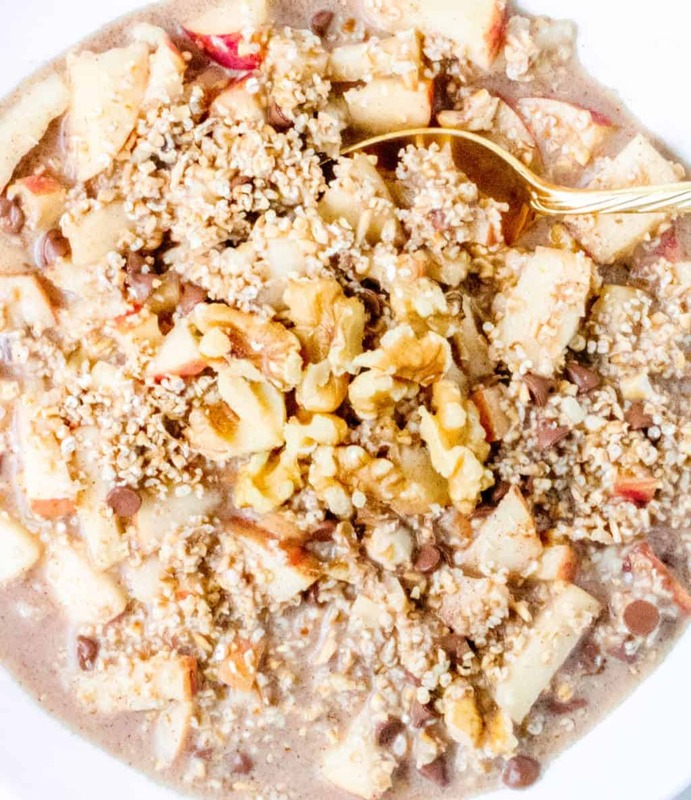 Whether you choose to go rogue and add in your own fruit and nuts of choice or follow this recipe to a T, that’s totally up to you. 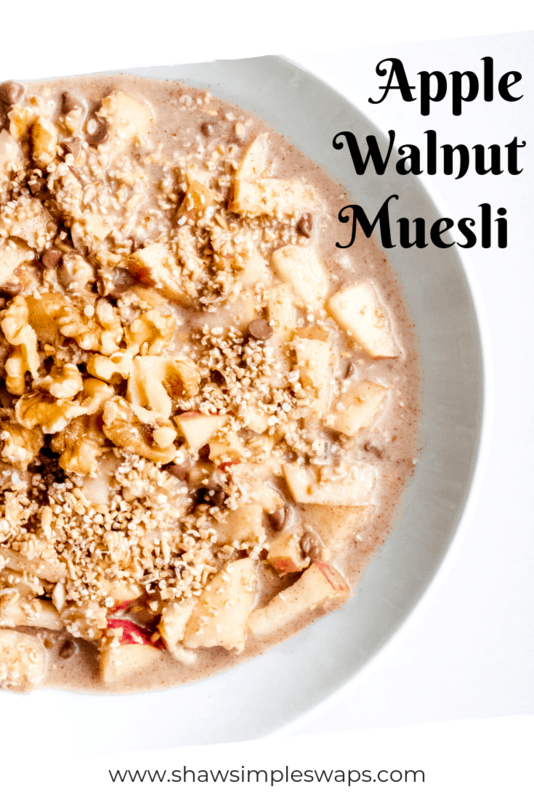 I promise you either way, this Apple Walnut Muesli will not disappoint. 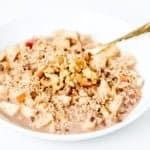 Think the flavors of fall with a little bit of crunch (similar to my Apple Pie Oatmeal) minus the cooking time! And, oh yes, I added mini chocolate chips because I have a serious sweet tooth! Alright, enough waiting! Who’s ready to join me!? Combine all ingredients in a mason jar. Shake and let sit overnight (or >6 hours) in the refrigerator. Portion into bowl (or enjoy straight out of the jar) when ready to eat. *1/3 cup of sprouted steel cut or 1/2 cup old-fashioned oats. Add a splash of milk if desired when ready to eat if prefer a more liquid consistency. Looking for more quick and easy breakfast recipe inspiration? « Chicken Taco Soup – Instant Pot Debut!